Lloyd Spitalnik is a well-known New York City based birder and an exceedingly accomplished bird photographer. His work has appeared in such publications as Audubon, Natural History, Birder’s World, Wildbird, Birding, The New York Times, the New York Daily News, and WWF Songbird calendars. Lloyd is one of three men responsible for the annual Jamaica Bay Shorebird Festival, he runs Metro Birding Briefs, a New York City rare bird alert listserv, and runs instructional photo tours in the New York City area as well as gives private lessons in Adobe Photoshop and Lightroom. We are thrilled that Lloyd has agreed to share his vast experience and good advice on how to photograph wood-warblers – advice which, by the way, is not necessarily applicable to only wood-warblers. All of the images and text here are copyrighted and may not be reproduced without Lloyd’s written permission. 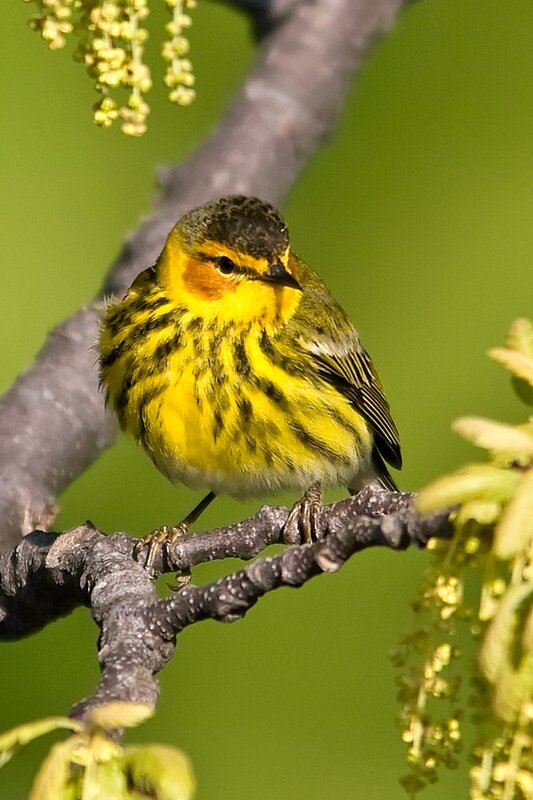 Go to where wood-warblers either migrate or breed. If on the breeding grounds, be very respectful of the birds. I have seen some photographers do things that would curl your hair. Use a camera with a fast shutter. Three frames per second just is not fast enough. Warblers don’t sit still very long. My cameras have seven and ten frames per second. A Canon 60D will give you over five frames per second and is a very good consumer grade dSLR. Point and shoot cameras are excellent but not for shooting warblers. You may get a nice shot every once and a while but not consistently. Use a flash. Most times you’ll be in wooded or forested areas so it is sometimes a necessary evil. Don’t use your flash at full power because it gives an unnatural look. Look up “fill flash” and utilize it. Think about shooting angles. It’s exciting to see a Blackburnian Warbler high in a tree but it does not make for a good photo when shooting at steep angles. If a bird is on the ground, stoop or even lay down to get at eye level. That’s how you get an intimate image. Use a tripod when possible. It will limit your mobility but your keeper rate will increase exponetially because of the steadiness you gain. Remember, most times you don’t have a great deal of light so your shutter speeds won’t be very fast. Learn your subject’s habits. Being able to anticipate what the bird is going to do is a great advantage. Don’t make sudden movements like pointing or moving your lens quickly. Birds don’t like that. These tips were not put in any particular order. They’re all important. Go out and shoot. The more you do, the better you’ll become. To see more of Lloyd’s amazing images make sure to check out his website, Lloyd Spitalnik Photos. You’ll love what you see! This week, 8 May – 14 May 2011, is Wood-Warbler Week on 10,000 Birds! 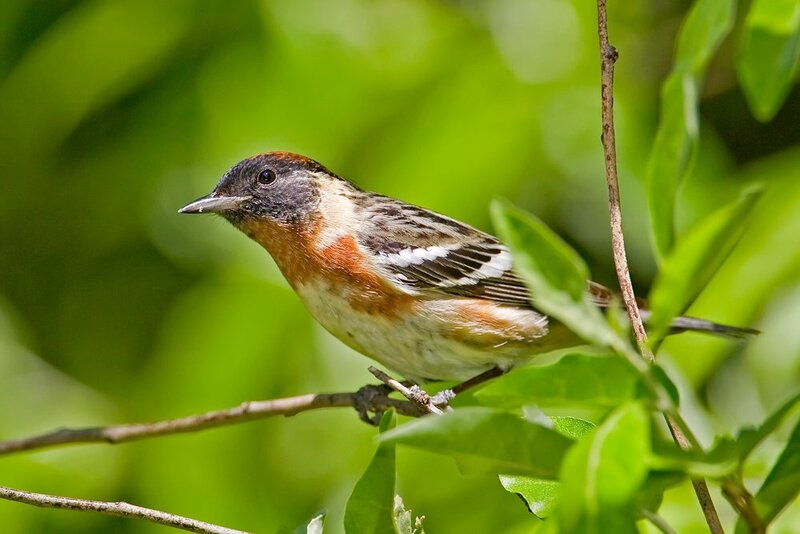 Though wood-warblers, the mostly brightly colored birds of the family Parulidae, are only found in the New World we felt that birders the world over would be pleased to see a plethora of posts about these striking and sought after species. 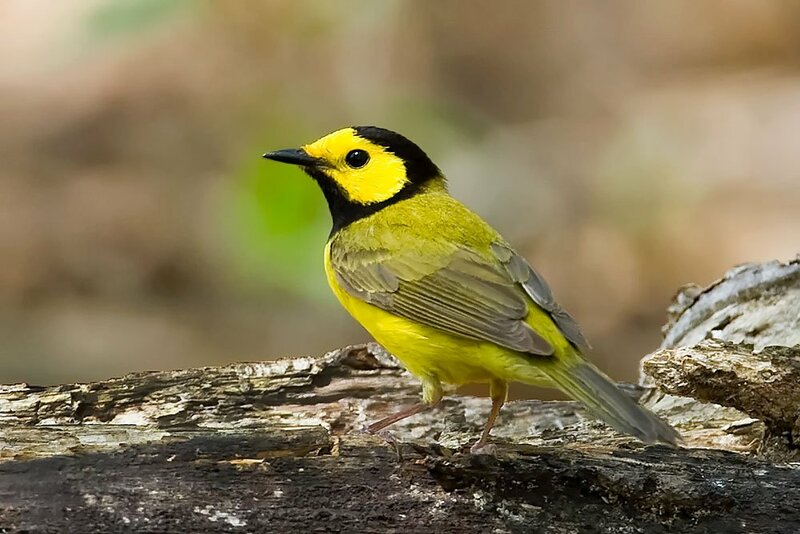 We are devoting a whole week to wood-warblers but are only just barely scratching the surface of possible topics involving this amazing family of birds. 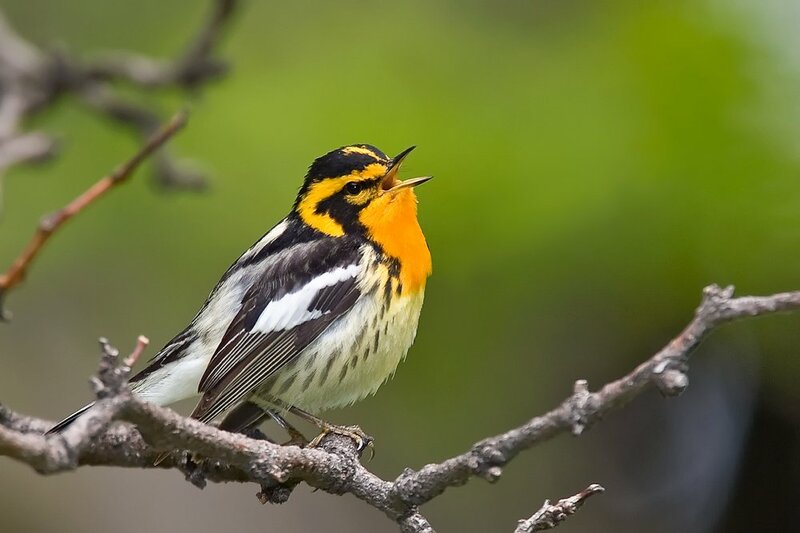 Right now great flocks of wood-warblers are making their way north from the southern United States, Mexico, the Caribbean, Central and South America to breed across the United States and Canada. Many other non-migratory wood-warbler species are living their lives across the neotropics, doing their best to survive and pass on their genes. Wood-Warbler Week is a celebration of all wood-warblers and we hope you join us in celebrating these absolutely wonderful birds. Read about them here but also get out and experience them. You won’t regret it! Wow, those are some really amazing photos!!! It just goes to show the gulf between the posssible and the probable. Great information and stunning images. I need to research the fill flash capability of my camera now! Thanks for sharing your expertise. Truly amazing shots and some excellent tips. Thanks!